We truly enjoyed our stay in Camps Bay. We were looking for accommodation and was on a tight budget, you guys got us the best value for money. Thanks so much and what a wonderful small apartment. What a stunning view from the Villa we booked with your Company. Thanks so much and we had a ball of a time. 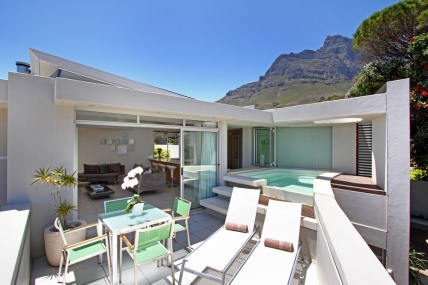 The villa is situated at the best possible spot in Camps Bay. I will recommend you to anyone. Travelling in Camps Bay with a vehicle is a bit of a mission with all the holiday makers just everywhere, so we had to revert back to walking everywhere. Luckily everything was in reach and we thoroughly enjoyed our stay. 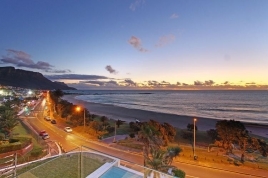 The best location Cape Town has to offer, where one can drive and explore everything the Cape has to offer; Sea Point, The V&A Waterfront, Cape Town CBD, Hout Bay and more. Camps Bay is beautiful. Thanks for all the effort on booking our accommodation. The apartment we rented was up to standard and we had great sea views. Just a pity the weather didn't want to play along. Camps Bay beach is the perfect place to spend your summer holiday. Along the beach are the perfect restaurants while the beach are filled with people enjoying the African sun. Best spot in Cape Town. Location, location, location. That is the key to Camps Bay. We had the mountain, the sea, the friendly people and great food all a few minutes away from our accommodation. After inquiring with everyone I found online you where the guys with available accommodation only in Camps Bay, but what a blessing in disguise. Lovely place and the perfect spot in Cape Town. Your service is just great guys and the apartment we rented in Camps Bay was clean and more than expected. The views from the holiday apartment seemed like the best possible views of the ocean and the mountain available. Please be sure that I will gladly recommend you to friends and family. Thanks you My Leisure Group. The apartment we rented was clean and well looked after. We enjoyed our stay. First time in Cape Town and South Africa. The service level of your company as well as the villa we rented was absolutely wonderful. We had everything one could ask for at a very reasonable price. We loved our stay and will return to your beautiful country soon. 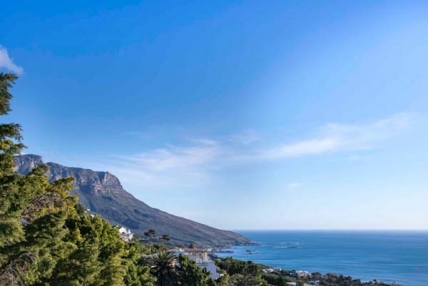 Camps Bay is our new holiday destination for every summer since our last stay in the most stunning villa booked through your company. You will definitely see us again and again. What a villa, what a view and what great service from your company. Thank you so so much. I am in love with Camps Bay. The people, the ocean, the mountain, the restaurants, the houses, everything of Camps Bay is just perfect. Cape Town, you have a lovely suburb and great hospitality. 3 Families getting together to stay in Camps Bay and find accommodation is a huge issues as everyone has something to stay, but when you guys offered us the perfect villa, everyone agreed. They were spot on. What a lovely beachfront bungalow with everything we needed to make our holiday luxury and memorable. Thanks guys. Very nice flat we stayed in while in Camps Bay. We had the beach on our doorstep. 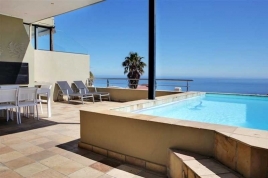 Your website is so organised and well looked after, it was really easy for us to find the perfect holiday spot in Camps Bay. We loved the place we booked and enjoyed our short holiday. Lovely holiday destination with absolutely everything you need within a few meters away from where we stayed. The apartment was really tops with the greatest views of the ocean and the mountain. 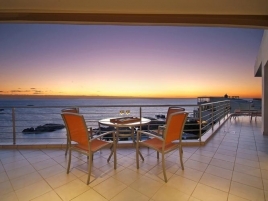 I booked my parents an apartment in Camps Bay as a surprise and they absolutely loved the location. They went out almost every day testing most restaurants in the area as well as visiting all the tourist attractions in Cape Town. Best holiday they had in years. It was a holiday to remember as everything was on time and just perfect. Our accommodation was really luxury and up market. The villa we rented had all the bells and whistles one can think of and everything worked. We enjoyed it so much that we even extended our stay with 3 more nights. Job well done! What better way to spend your holiday than right on the beach. 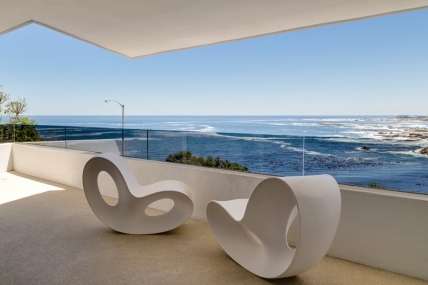 We rented a absolutely gorgeous holiday home in Camps Bay right on the beach. The children loved the house and spent hours on the beach. The accommodation was tip top and the location the best money could buy.